The other day one of my favorite “The Who” songs, Pinball Wizard came on the radio when I didn’t have my ipod on me. Then, last night, I stumbled upon an AMAZING free game app called Retro Pinball, so I decided that today we’d have a pinball design!!! For this design, I started with a coat of OPI Nail Envy, two coats of Nicole By OPIBaby Blue, Nicole By OPI Turquoise Texture (I was trying to replicate the cracking in the image below), OPI Alpine Snow, Nicole By OPI Red-y To Runaway Love?, Nicole By OPI Razzle Dazzler, Nicole By OPI You Can!, Nicole By OPI I’m A Belieber, Nicole By OPI One Time Lime, Nicole By OPI Daffy Dill, Nicole By OPI One Voice, Nicole By OPI Give Me The 1st Dance, Nicole By OPI Party In The Penthouse, Nicole By OPI Fresh Squeezed, and a top coat of OPI Rapid Dry. Here’s the pinball image that I used as inspiration- so much detail it was hard to choose what to include!! Click on the image care of Windows Secrets for the path to the original image. BY THE WAY!!! 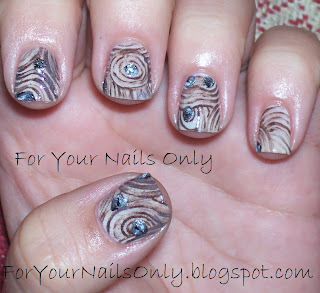 Have you entered my NAIL ART CONTEST! To win all of Nicole By OPI’s Something About Spring Collection? You have until the end of June (aka any designs before the clock strikes midnight onto July 1st EDT will be accepted). Please read the original post for details! I have received SO many designs- it will be hard to choose who wins!!! The colors? OPI Alpine Snow, Nicole By OPI One Time Lime, Nicole By OPI My Lifesaver, and Nicole By OPI Baby Blue. I think he did a great job!